YUMMI is a new foodie platform that makes it easy and fast to track food adventures simply with your everyday food photos. Yummi is the perfect tool for all foodies. It combines the best functions and features you use on other platforms into one app. 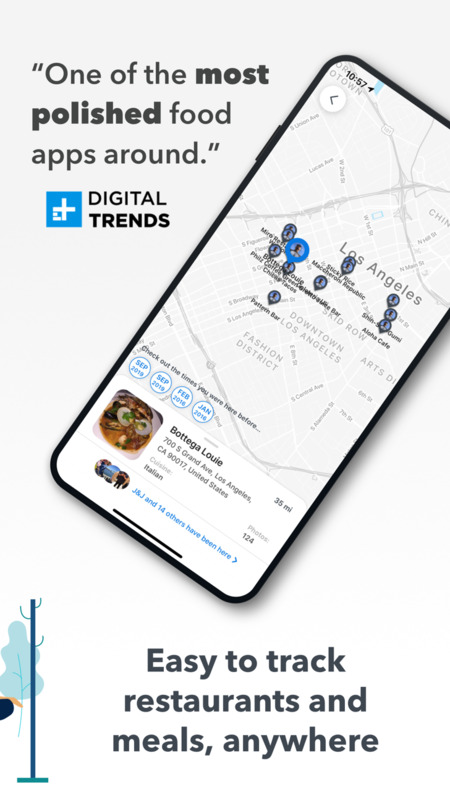 You can log, remember, share, and explore food all in one place. We've made it so quick and effortless to access all your food memories anytime, anywhere. It's simple to upload and log food photos. Just geotag every post and turn them into foodprints. One tap to find and pull up your foodprints wherever you go. Wanna remember every place you’ve eaten. Remind yourself what you had there before. Look back on your food adventures anytime. Keep up with friends to discover new places to try. Quick to find all your foodprints on an easy to navigate map. Inform friends where are the good and the not so great places. Leave foodprints for them to discover when they’re nearby. They’ll know what are the must try dishes and which to avoid thanks to your foodprints. If you do not want to share and just choose to use Yummi as a diary for yourself, you can do that too. We have created privacy controls where you can to choose who can see what. It's a two layer privacy setting - by account and by individual post. Yummi makes it fun and simple to learn about real, authentic food experiences from your most trusted source. It's a must have tool to help you find daily food ideas and inspirations. KEY FEATURES – Log. Remember. Share. Explore. 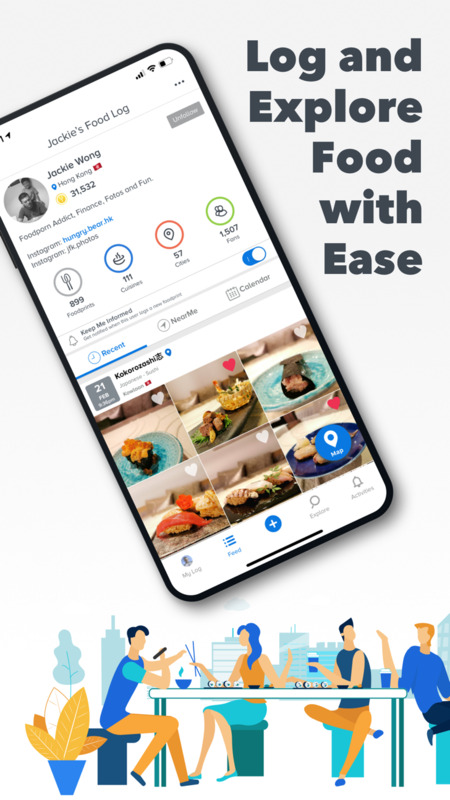 ◦ Organize & keep all your food photos in one place. ◦ Keep track of your food photos and history. ◦ Earn coins to tip expert foodies & buy real food from restaurants. ◦ Post FoodPrints and tag location & time you had the food. ◦ Discover food photos from other people in our community. ◦ Get inspired by other people’s food photos. ◦ Calendar view: see the snapshots of your food photos based on dates. What is the purpose of Geolocation feature in our app? This feature helps you to find out where your friends like to go or where they have been in your particular area. This way, you don’t have to bother them to ask for recommendation. You can simply check their FoodPrint and see it for yourself! ◦ Documenting recipes you’ve tried. ◦ Reviewing restaurants you’ve been too. ◦ Easy way to relive special dining experiences. ◦ Remember everyday food experiences. Thanks for using Yummi. We have optimized this version for performance improvements and fixed a few bugs. Fixed the issue under Edit to change restaurant location. First time cuisine tag notification on private location is only showing once now. Maps was missing some footprints but is now addressed. Sending feedback directly to our team is now possible within the app.